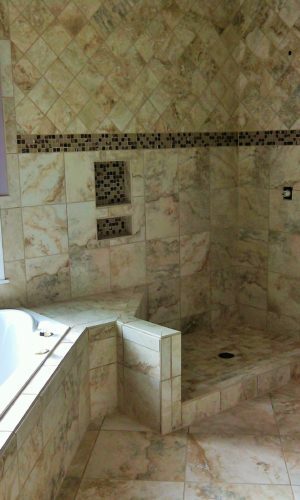 Turn Your Bathroom into Your Personal SPA! 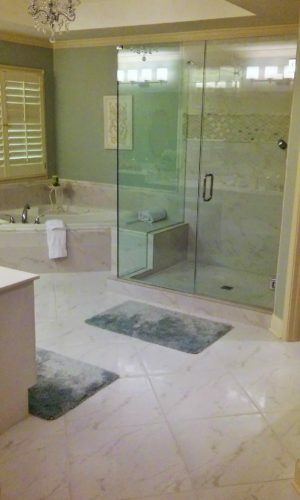 Bathrooms should be relaxing, convenient, and easy to clean! You spend more time than you realize in the bathroom, so you should enjoy the luxuries it can provide. 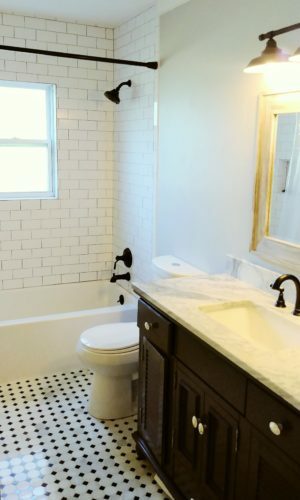 Bathrooms by Dickie Tile include: floors or heated floors, showers and shower amenities, tub hops or tub surrounds, wane scopes, base and more. There’s nothing like taking a warm bath or shower and stepping out onto a clean floor; better yet, you’ll never regret upgrading to step out onto a HEATED FLOOR! 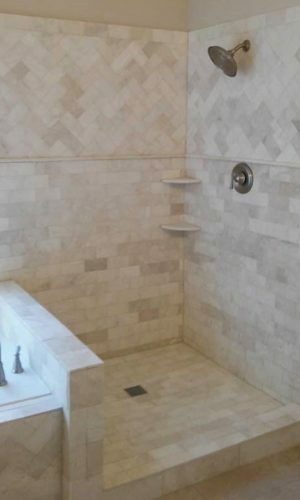 Showers can also be customized to your needs. 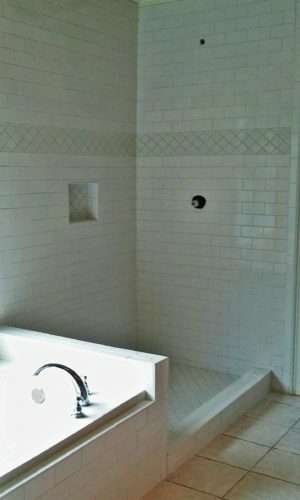 Relax in your shower with a custom-built seat. Conserve space and avoid bumping into shampoo bottles by installing an insert soap dish. 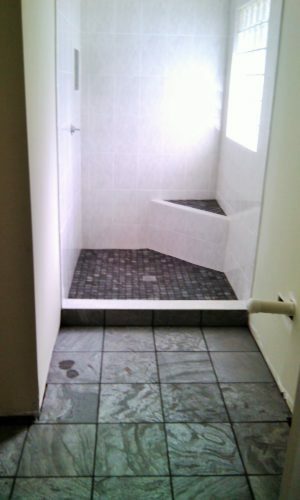 Get in and out of your shower with ease with a curbless shower pan floor or handicap rails. 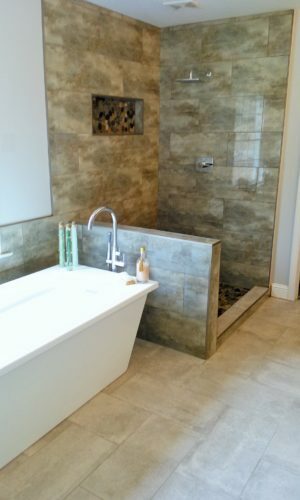 Turn your bathtub into your own little oasis with a decorate mosaic tile ban or wane scope around a stand-alone. 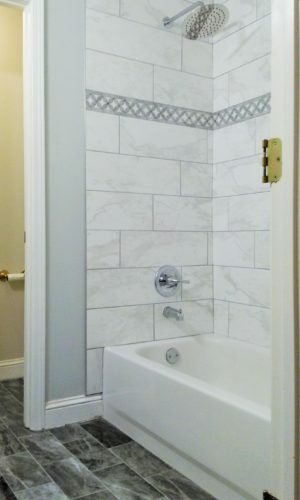 From the invigorating beauty of natural stone or marble decor, to relaxing and spacious amenities like shower seats and insert soap dishes, Dickie Tile can customize every inch of your bathroom to your specific needs and desires!